This piece expresses the emotions that come with the wind and cold of Canada in winter. Inspired by the simple and yet beautiful shape of a beach pebble. 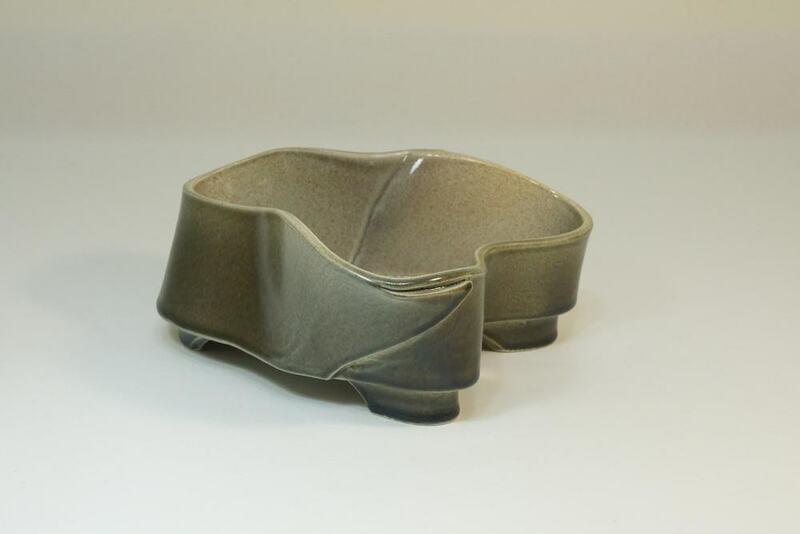 This piece explores the contrast between the smooth form of the pot and the torn rim. Janet was inspired by the imagery of rocky Atlantic seashores in the making of this piece, which sold at the juried art auction held by the Art Gallery of Burlington in June 2016. 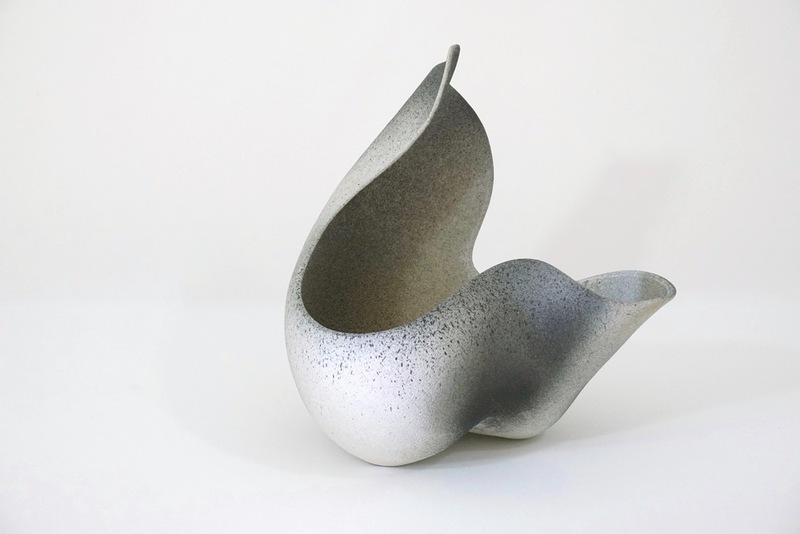 This piece was awarded Best in Show at the Ottawa Guild of Potters juried spring exhibition in 2016. This suiban was constructed using slab building techniques and fired in oxidation at cone 6. The glazes were chosen to allow a wide range of coloured floral material to be arranged in this vessel. This arrangement was done for the Sogetsu School of Ikebana - 2016 Fall Exhibition using 'Flight North'.